After a few weeks off for Christmas, I'm back. 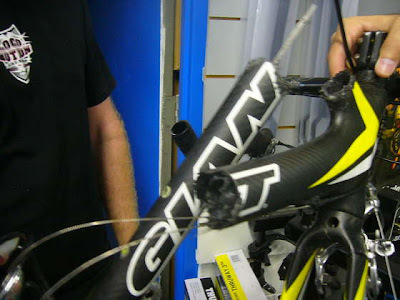 My leg is still broken, and carbon bikes are still breaking. Today it's a Giant that is completely destroyed.